You can easily change the document type of multiple documents at the same time. Simply select the multiple documents you wish to edit to a certain document type. In the inspector window on the right select the information tab. 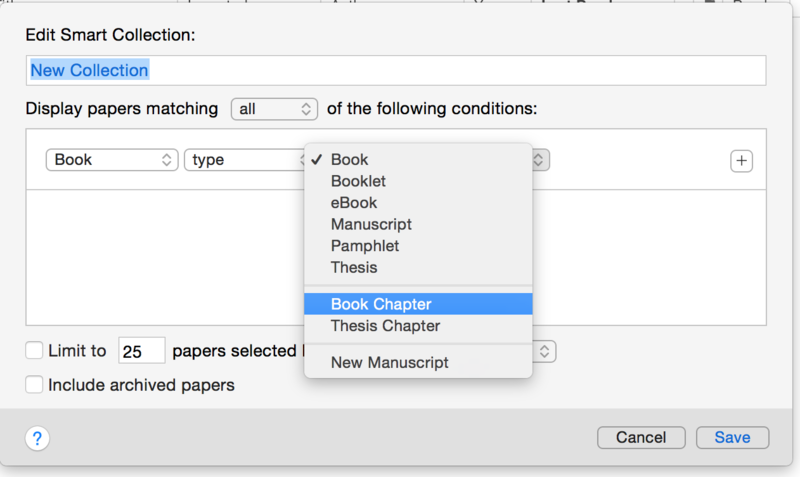 At the top of this window select the drop down menu for 'Type' and choose the desired document type. You can then easily create a new Smart Collection that stores these document types.